Buying a laptop has become very convenient but if you are still stuck on which laptop to buy, then you must read on. Following are 7 points which will help you make an informed decision. So why do you need a laptop? Business requirements? Do you need a huge data storage capacity? Are you a professional gamer? You might need a high-end graphics card and processor. Or do you want to watch unlimited movies and play songs? A good picture/speaker quality is what you might look for. Or are you a traveler? Convenience might be on your mind then. Whatever be your profession, make sure you have your needs defined clearly because only then will you be able to take the next step in decision making. Although all operating systems today provide support to a wide variety of applications, you still might have a preference for the particular operating system. Most laptops come with pre-loaded Microsoft Windows Operating System. With its simple user interface and support to a wide range of applications, it is a default choice for a novice buyer. It offers a wide range of products from regular laptops and notebooks to those with touch screens. The latest version is Windows 10 which comes in different editions like Home, Pro, Enterprise, etc. Your needs (and budget) will define your pick. Another popular operating system is Mac OS developed by Apple Inc. Mac OS comes with all MacBooks. Differing in the interface from Windows, iPhone and iPad users will be more familiar with the interface and comfortable using connectivity features of the MacBook. One key point to note is that all MacBooks come with the keyboard and there is no touch screen feature available till date. Chrome OS is an operating system developed at Google and is available with laptops such as Lenovo 100S Chromebook. It is simple and easy to work with the operating system but is limited in functionality and support. The main application is the Google Chrome browser which can be used for all internet browsing activities. Along with good battery life, Chromebooks are portable and comparatively inexpensive when compared to other laptops. 1. Processor: They are the main task performing units of your system. It can be correlated to the speed with which your laptop performs an operation. Intel processors are predominant in the market. You can look out for Core i3, i5 or i7 processors. With Core i3 being prevalent in most of the entry-level laptops, you will find Core i5 in most of the mainstream systems. Core i7 gives an unmatched speed and best performance out of the three but you should beware of a large amount of heat produced by these laptops. 2. RAM: Random Access Memory provides space for the processor to perform its tasks. Higher the memory greater is the performance (multitasking) and speed of the laptop. 3. Storage: HDD — Hard Disk Drive storage units take up huge space, making the laptops bulkier. SDD — Solid State Drive is the lighter ones with comparatively higher performance and speed but you might then have to take a step back on storage capacity if you choose SDD. 4. Display: The most prevalent in the market are the displays with 1366 x 768 resolutions. Higher the resolution, greater is the clarity and picture quality. Full High Definition (Full HD) displays with 1920 x 1080 resolutions are the bit more expensive but worthy components. Some laptop displays have the resolution higher than those of full HD, giving sharp picture quality but at the same time, they consume more power and are expensive as well. 5. Graphics card: If you are a gamer or a video editor, then a high-performance graphics card is what you should look for. Nvidia and AMD have the range of graphics chips available supporting the wide variety of user needs. 6. DVD/Blu Ray Drives: If you need to read/write DVDs you will need DVD drive for that. 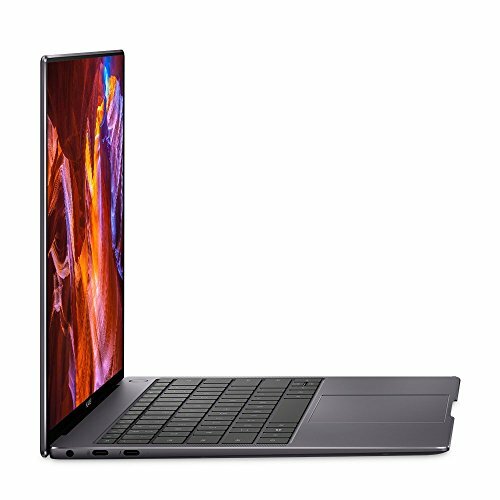 Most recent laptops do not have built-in drives. However, you can use an external drive for the same purpose. Built-in DVD drives make the laptops bulky and hence it trades-off for convenience. Portability is one big factor to consider when buying a laptop. With screen ranging from 11 inches to 18 inches, laptops vary in size and weight. Laptops with the smallest screen size are light in weight and portable. Laptops with size ranging from 13 to 14 inches provide most benefits when it comes to weight and portability. 15 inches laptops are the most popular once but they are not very portable. Laptops with the screen size greater than 17 inches are preferable if you plan to keep the laptop on a desk while working for most of the time. These laptops are ideal candidates for workstation systems or for playing high-end games. A laptop must have good ergonomics. Check the keyboard for appropriate vertical and horizontal spacing between the keys. The key press should be distinct and convenient. Check for the capabilities of the touchpad. Features like multi-touch and pinch zoom are available on most laptops. Check for the motion and response of the cursor. Before buying any laptop check for the guarantee/warranty the company provides. Also, check for the service centers in your locality. Timely support is necessary and hence you must make a note of this. There are many variables which affect battery life and back up. Screen brightness, tasks which are run, processor, usage, etc., affect the battery life and hence the manufacturer-quoted number is not indicative of the capabilities of a laptop. You will get an idea of the battery life from the Watt-hours (Wh) or milliAmp-hours (mAh). The higher the number the longer battery will last. These basic yet important points will help you make an informed decision on which laptop to buy. You might not find all the features you need on a single laptop. In such situations or with budget restrictions, you may want to go back to the first point of this article and re-evaluate your needs. Looking around to buy a brand new, feature-rich, laptop meeting all specifications you need, but confused amid the large range of laptops? Different types of laptops catering to different need are available in this technical world, but no need to worry about this more. 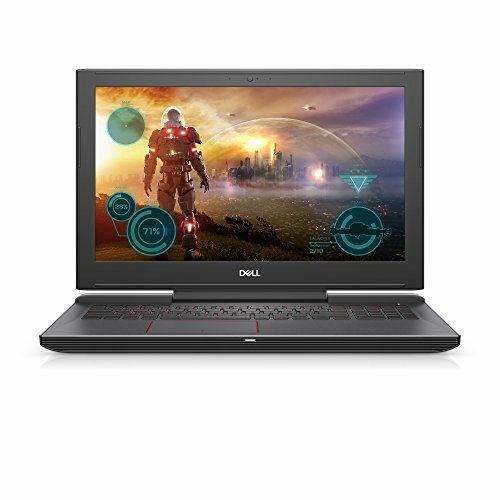 Just make a note of the specifications you are looking for and then go with the list of best laptops, compare them, and get the best one. Overall ratings for best laptops are based on price, ease of use and documentation, features, and warranty and support. Apple is different from all other window laptops. Apple makes a special place in the IT market just because of the special features, quality, performance, and durability. In this Apple MacBook Air, company gives you Fifth-generation Intel Core processors 1.6 GHz dual-core Intel Core i5 which Turbo Boost up to 2.7 GHz. For easy portability, Apple fitted 13.3-Inch (diagonal) LED-backlit Glossy Widescreen Display with 1440 x 900 resolution. Inside this machine 8 GB of 1600 MHz LPDDR3 RAM which sufficient for working any kind of general and office work. For better resolution and graphics performance, the system loaded with Intel HD Graphics 6000. Inside this machine many other features available which are not possible to explain in this short technical description note like (sound feature, connectivity feature, display, camera, backlit keyboard, multi-touch trackpad, etc.). Apple MacBook Air gives you up to 12 hours of battery life on a single charge. It has average rating 4.6/5 according to Amazon.com. The best laptop under your budget of 1000 dollars. 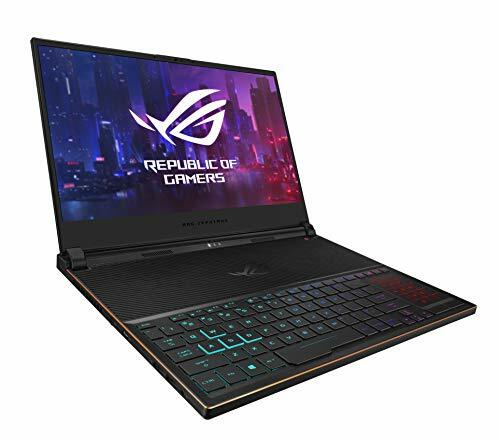 We all know Asus is one of the top manufacturers of the gaming laptop. Gaming laptop doesn’t mean you can’t do other things with this, you can do lots of thing with this system. Gaming system gives best performance response with the quality feature. Inside in this system 6th generation Intel i5-6300HQ 2.3 GHz Processor which support Turbo up to 3.2 GHz. For fast graphics rendering and high pixel quality performance, Asus gives you NVidia GeForce GTX 960 with 4GB which provides you better graphics response with GPU feature inside in GTX graphics series. For gaming purposes screen size given 15.6-Inch wide-view Full-HD Display. Inside fitted 512 GB SSB storage drive with 8 GB DDR3 RAM. On the outside looking wise, Asus completely redesigned the chassis for the Asus ZX53VW with a superior metallic finish for a premium feel, superior portability, and increased durability. For better accessibility and for better comfort during working and playing games, Asus specifically-designed WASD keys. Asus loaded with best sound technology (Sonic master technology). It has average rating 4.4/5 according to Amazon.com. The best laptop under your budget of 800 dollars. The Apple MacBook Pro MGXC2LL/A is an elegant and ultraportable laptop weighing 4.46 pounds which provide up to 8 hours of wireless browsing. The system is powered by a built-in Microphone. OS X operating system works with 2.5 GHz Quad-Core Intel Core i7 Processor which boost up to 3.7 GHz and uses low voltage for improved battery life. The 15.4″ LED-Backlit IPS retina display have the glossy finish with 2880-by-1800 native resolution. The MacBook Pro is HDMI-compliant device and also supports a/b/g/n Wi-Fi networks. Visuals are handled by a dedicated NVIDIA GeForce GT 750M graphics card with 2GB of GDDR5 discrete memory. It also has 16GB of onboard 1600MHz DDR3L RAM, 512GB of PCLe-based flash storage and an SDXC media card slot. There is no such thing as a perfect budget gaming laptop lending you a perfect mix of power and mobility. We’ve determined that the ASUS GL551 JM includes an NVIDIA GeForce GTX 860M 2GB GDDR5 graphics card with Optimus Technology. It has Windows 8.1 (64-bit) operating system that works with an Intel Core i7-4710HQ 2.5GHz processor turbo boost up to 3.5GHz. The laptop has a 15.6″ full HD antiglare display and weighs 6 pounds with a 1TB hard drive and 16GB DDR3 RAM. The built-in slots of this laptop are 3x USB 3.0, 1x HDMI, 1x MiniDisplay. SDXC Card Reader. 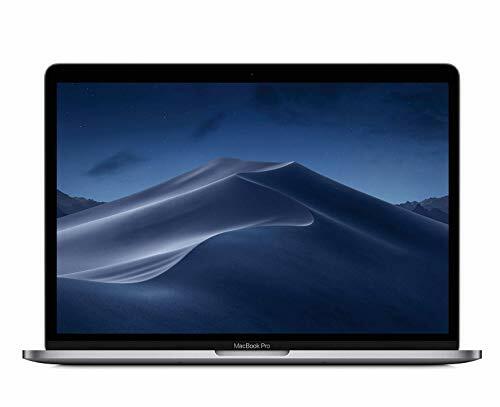 Apple is best known as a leader in technology and the Apple MacBook Air MD761LL/B 13.3″ with LED-backlit glossy widescreen worth $1,335.52 is packed with intuitive functionality. It is powered by OS X Mavericks supporting superfast 802.11 ac Wi-Fi. Features fourth-generation 1.4GHz Dual-Core Intel Core i5 processor (up to 2.7GHz of turbo boost) with 3MB shared L3 cache. It has unbeatable 12 hours battery life and automatically gets boot each time when turned on due to ultrafast 256GB flash storage with 2 USB ports. The laptop is a thin one and a light weighted device with just 2.8 pounds weight making it easier to carry. Consists of 4GB DDR3L-1600 onboard RAM. Have excellent intel HD graphics of 5000 and 1440×900 native resolution. The Toshiba 2-in-1 convertible tablet is a wonderful device weighing 5.6 pounds and feeds us with the experience of using a smartphone by adopting a laptop shape. It comes with a 15.6inchs wide LED-backlit screen that provides full HD touchscreen display with 10 point multi-touch function. The Toshiba convertible ultrabook 4th generation is fitted with Intel Core i7-4510u processor 2.0GHz and boost up to 3.1GHz. The onboard capacity of this gadget is 12GB DDR3L RAM with the memory power of 256GB SSD and Windows 8.1(64 bit) operating system making it amazing. Can live up to 10.10 hours and indulged by Intel HD graphics. The ultra slim and lightweight(3.2 pounds) ASUS ZENBOOK UX303 bunch up class & power and brings it to a whole new level. Presenting Quad HD IPS touch display technology that gives accurate color with 3200 x 1800 resolution. 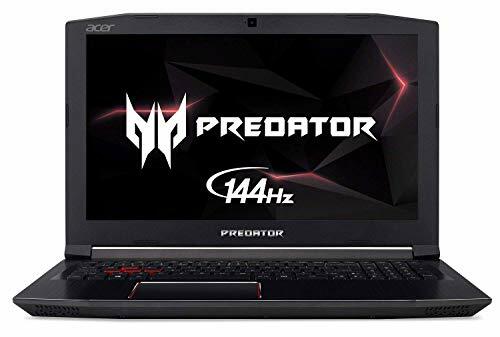 A 0.7-inch thin UX303 is powered by an Intel Core i7 -4510U 2 GHz processors for seamless multitasking and NVIDIA GT 840M 2GB RAM graphics for a silky smooth performance. The onboard capacity is 256GB Solid State Storage, 12GB RAM and gives a long battery life of 8 hours. Inbuilt slots for this gadgets are 3x USB 3.0, 1x mini Display Port, 1x HDMI, Bluetooth 4.0, SDXC slot and dual-band 802.11ac Wi-Fi will never keep you waiting. The need for the best laptop is legitimate and above 5 laptops scale individual scores that are enough for you to make up your mind. Although the processor speeds may differ, each of these machines has an Intel Core i7 with 16GB RAM; a combination that’s known to blow away the benchmarks. You get 14 inches of display with a sufficient resolution, no matter which one you buy, to make sure you don’t fall short on screen size which is quite important if you have been planning to buy one for professional use. 256GB of SSD storage is the bottom line here when it’s about ‘No compromising’ in terms of overall speed and transfer rate. Connectivity options are also abundant and each one has a Type C USB port which is bound to turn the tables when it comes to the future of USB technology. Irrespective of the type of GPU – in-built or dedicated – you can expect the graphical performance to be top notch. On top of it, each one is trendy enough to fall for. But then there is still a difference between the top five 5 rankers and that difference comes from the type of utility, which indirectly affects ergonomics. Where on one hand, the HP Spectre is a more suitable for casual as well as professional usage, the Apple MacBook and the Surface Book would hang around more efficiently if used for official purposes. Far away from the official league, the Acer VX 15 and Razer Blade GTX 1060 belong to the category of the ones which can handle extensive graphical work and gaming as well.